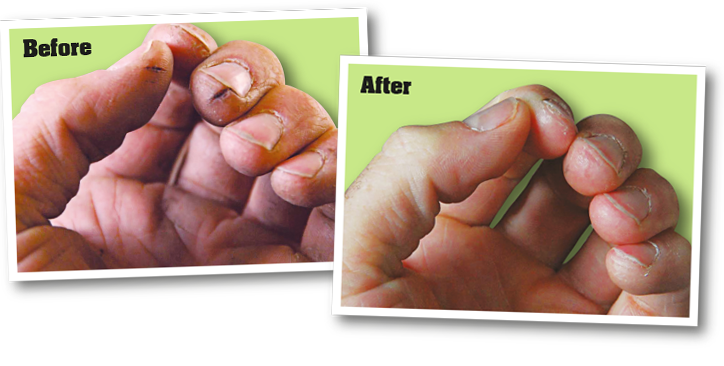 Maintaining healthy hands feels great and can prevent more serious problems from developing, but when your job depends heavily on the health of your hands, keeping them in excellent shape is essential. The O'Keeffe's Working Hands Hand Cream (85g) is a concentrated hand cream that is a non-greasy, odourless, hypoallergenic solution that not only moisturises extremely dry skin, but also protects it and gives it a chance to heal. 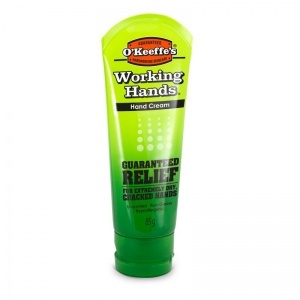 Who Can Benefit from the O'Keeffe's Working Hands Hand Cream? How Does the O'Keeffe's Working Hands Hand Cream Work? The skin's natural barrier can be damaged, which leads to increased water loss that causes dry, cracked skin. The O'Keeffe's Working Hands Hand Cream not only protects the skin from further water loss, but also draws moisture to the skin. The protective barrier seals in that moisture, reducing the rate of evaporation. How Do I Use the O'Keeffe's Working Hands Hand Cream? Apply a small amount of the O'Keeffe's Working Hands Cream to problem areas on hands and fingers as needed throughout the day. Start with a small amount, as over-application can lead to stickiness. For best results, make sure to always apply the cream after hand washing, bathing and at bedtime, as these are the most effective times for moisturising extremely dry skin. The Working Hands Cream moisturises dry skin and protects it, giving it a chance to heal. Maintaining healthy hands not only feels great and keeps your hands active, but also helps to prevent other, more serious problems from developing. Can I Use This Hand Cream If I Have Sensitive Skin? Absolutely, the O'Keeffe's Working Hands Cream was created especially for those with severely damaged, vulnerable and sensitive skin. This is why it's hypoallergenic and made with only the best ingredients that won't further irritate your skin. Will the O'Keeffe's Working Hands Cream Make My Hands Slippery? 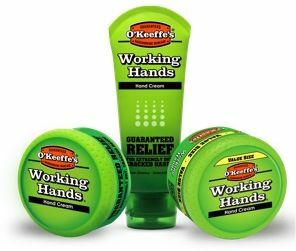 The O'Keeffe's Working Hands Cream is designed not to be greasy or sticky, which is one of the reasons why it's so popular among workers across industries. The odourless, hypoallergenic hand cream moisturises your hands and creates a protective barrier without leaving any unwanted residue. What Is the O'Keeffe's Working Hands Cream Made From? 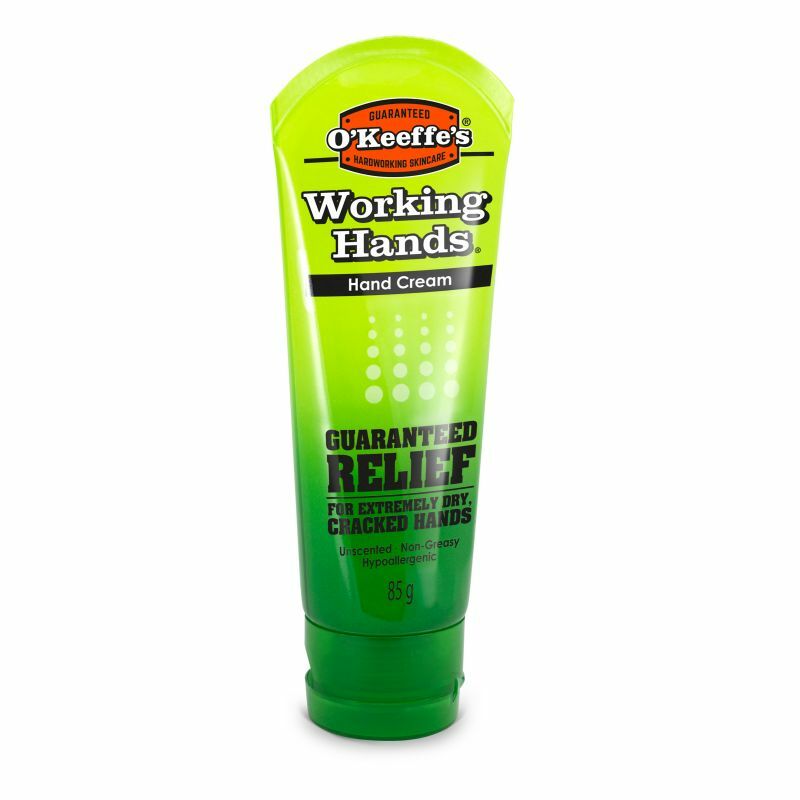 The O'Keeffe's Working Hands is a glycerin-based hand cream that is non-greasy, free from scents and perfumes. The complete list of ingredients includes: Aqua, Glycerin, Stearic Acid, Dimethicone, Ceteth-10, Laureth-4, Paraffin, Hydroxypropyl, Methylcellulose, Allantoin, Ammonium Hydroxide, Octyldodecyl Stearate, Diazolidinyl Urea, Iodopropynyl, Butylcarbamate, Acrylates/Acrylamide Copolymer, Boric Acid, Mineral Oil, and Polysorbate 85.